David Warner is set for an Australia return. Former South Africa skipper Graeme Smith believes David Warner’s attitude will need to be reined in once the left-handed batsman makes his return for Australia. Warner is set to return to the Australia squad ahead of the 2019 ICC World Cup in England after serving his one-year ban from international and domestic cricket for his role in the infamous ball-tampering saga that erupted in Cape Town. Warner and Steve Smith are expected to play crucial roles for the Aussies in the World Cup but Smith has advised head coach Justin Langer to keep the ego of the former in check. “It’s difficult to know what it’s like behind the scenes, but he’s always been an incredible cricketer,” Smith told The Back Page on Fox Sports. “Especially when he bats, he bats with that driven nature, that intensity, ego to perform. And he’s an excellent cricketer. Warner is in red-hot form in the IPL. Image credit – BCCI/SPORTZPICS. 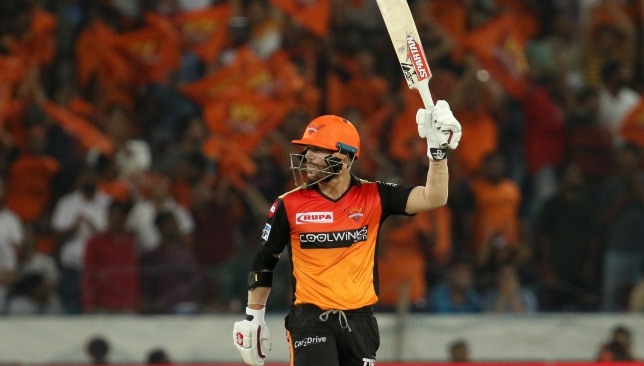 Warner is currently leading the run-scoring charts in the IPL after his return from a one-year absence with the Hyderabad opener racking up 349 runs from his six appearances while also registering an excellent ton. Smith has no doubts over the southpaw’s commitment but still feels that he needs to be managed carefully on his international return. “He’s very driven, I think he wants to do well, he wants to prove his worth again and I think David Warner in that position is probably a good guy to have in your environment,” Smith said. “It’s when he starts to get bigger than everybody else that probably management needs to be ready for [that]. While their neighbours and rivals New Zealand have already announced their 15-man final World Cup squad, Australia are yet to do so. The last date for the participating nations to submit their respective squad lists is April 23. 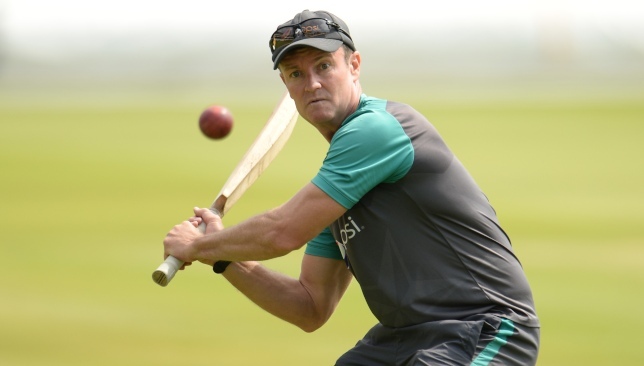 Pakistan batting coach Grant Flower. Although Pakistan were drubbed 5-0 by Australia in the ODI series held in the UAE recently, their batting coach Grant Flower has found a few positives to take ahead of the 2019 ICC World Cup in England. Pakistan had opted to rest several senior stars in the series including skipper Sarfraz Ahmed, Babar Azam and Fakhar Zaman in a bid to test their fringe players ahead of the World Cup. “It was always going to be difficult to beat Australia given how many players we were resting, so in that sense the series result appears worse than it perhaps is,” the Pakistan batting coach told ESPNcricinfo in an interview. 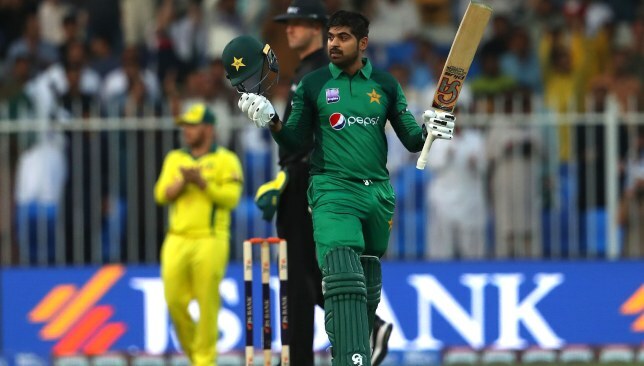 The former Zimbabwe international was encouraged by the batting displays of Haris Sohail, Mohammad Rizwan and debutant Abid Ali in the five-match series. Sohail and Rizwan both struck two centuries apiece in the series whitewash while Abid Ali became only the third Pakistan batsman in history to register a ton on ODI debut. Two centuries from Haris Sohail in the five-match series. “Rizwan’s been playing well, but he looked more in charge of his own mind this time. Less frenetic and paced his innings better. He’s good enough to bat in the top four, but I also think he’s versatile enough to play lower down. His running between the wickets is among the best of our players,” Flower said. “Haris is a class player and he showed that. His knee’s getting stronger now, and he’s working a lot harder at his fitness. He’ll be the first to admit he didn’t put in the hard yards quite as much earlier in his career, but he’s seeing the benefits of the work he’s putting in now. Pakistan have announced a 23-man probable squad for the World Cup which will undertake a two-day fitness camp at the National Cricket Academy (NCA) in Lahore beginning on April 15. The final 15-man squad for the World Cup will be declared two days later on April 18. Afghanistan's Rashid Khan (l) and Mohammad Nabi (r). The Afghanistan Cricket Board’s (ACB) decision to remove Asghar Afghan from captaincy just days ahead of the 2019 ICC World Cup in England has not gone down well with Rashid Khan and Mohammad Nabi. On Friday, the ACB Selection Committee announced the decision to remove Afghan from the national team’s captaincy across all three formats. In his place, Gulbadin Naib (ODI), Rashid (T20I) and Rahmat Shah (Test) were named as the skippers in a split captaincy. “As we have the World Cup in front of us, Asghar Afghan should remain as our team Captain. His captaincy is highly instrumental for team success. With just months to go for such a mega event like World Cup, changing the captain will cause uncertainty and also team morale will be affected,” the leg-spin sensation added. Rashid’s Afghanistan and Sunrisers Hyderabad (IPL) team-mate Mohammad Nabi too took to social media to voice his support for Asghar Afghan. “Being a senior member of the side and having seen the rise of Afghanistan cricket, I don’t think it is the right time to change the captain before the World Cup. The team has gelled really well under Asghar and personally feel he is the right man to lead us,” the all-rounder wrote.